El desarrollo comenzó en el verano de 1952 en la Oficina de Diseño de la Planta Kirov de Chelyabinsk bajo la supervisión de Joseph Kotin. El vehículo fue desarrollado sobre la base del carro T-10. El prototipo se fabricó en 1956. Fue sometido a pruebas, pero nunca entró en la producción en masa. The final advancement of its tank destroyer line, the Object 268 features good mobility, effective camouflage, and very well-sloped frontal armor which makes it tricky to attack from the front. Its most notable feature, however, is its upgraded 152mm cannon, which boasts extreme penetration, high alpha damage, a decent rate of fire, and, unlike the BL-10 before it, is very accurate. This gives the 268 excellent damage per minute, and it is without a doubt a very capable tier 10 tank destroyer. 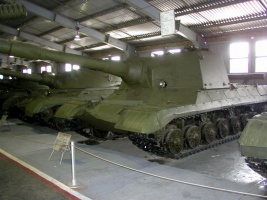 The Object 268 is the Tier X Soviet Tank Destroyer. This beast has an astounding 303mm of standard AP penetration, making it the highest penetrating gun in the game. It also has quite a high rate of fire for the damage it can do, giving it the highest DPM for all tier X tank destroyers. Another noticeable feat of this tank is the extreme accuracy of the gun. 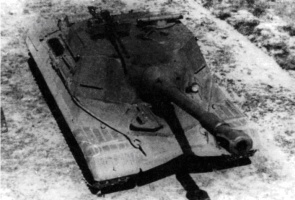 However to balance this powerful gun, the 268's armor is rather poor, and only decent at best in the front, to help players though, it maintains the hallmark of Soviet TDs by having a very high camo rating, making difficult to detect. 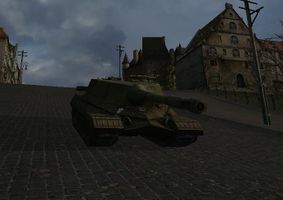 So people that are used to the play style of the ISU-152 will have no problem adapting to the Object 268. The mobility of this tank is surprisingly good, with a great top speed and a decent traverse speed that's superior to most heavies and Tank Destroyers its tier. 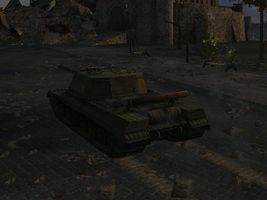 Medium tanks will often have a much more difficult time circling you than for other tanks, although it is certainly not a good idea to challenge one if it gets too close for comfort. 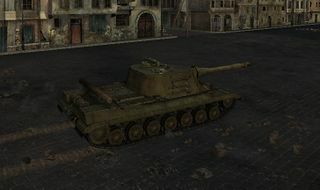 The biggest difference between the ISU-152 and Object 268 is the Object 268's much lower gun arc. This means that you will be moving your tank from side to side more often in the Object 268. 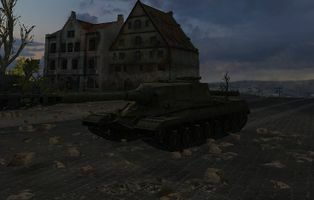 The consequence of this movement is that you will not be able to take nearly as large an advantage of a Camouflage Net or Binocular telescope as you would in the ISU-152. The Object 268 can play a variety of roles, and can therefore have a variety of equipment load outs. If you are staying back and sniping from behind a bush, the recommended equipment is the Gun Rammer, Camouflage Net and Binocular Telescope. You can also switch out the Binocular Telescope for Improved Ventilation if you wish. If you are going to support from the 2nd line, the recommended equipment is a Gun Rammer, Enhanced Gun Laying Drive and Improved Ventilation.